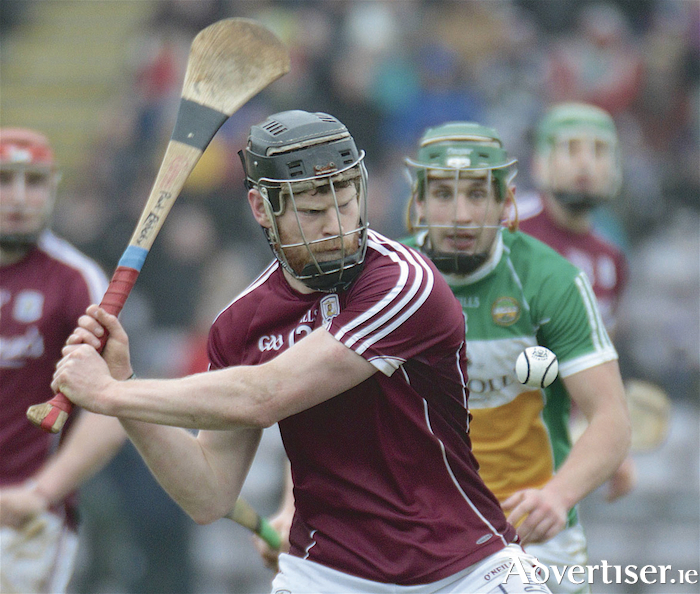 Galway hurling manager Micheál Donoghue and his backroom team will be satisfied with three wins in the bag, and qualification for the league quarter-finals as they continue to blood new players in 1B of the National Hurling League. Following their 2-19 to 0-14 win over Offaly last Sunday in Pearse Stadium, they are off to Parnell Park this Sunday to take on Pat Gilroy's Dublin outfit in round four (2pm ). Dublin have only two points from their three games and will be keen to get off the foot of the league table alongside Antrim. However, without their Cuala players who are preparing for the All-Ireland club final, they are a much weakened squad, and Galway will be targeting a win to maintain their momentum for the crucial game against Limerick in round five at Pearse Stadium on Sunday week (March 4 ). The winners of that tie will be promoted to division 1A for 2019 and that is a target both panels will want to reach. That game against Limerick in Pearse Stadium on Sunday week (2.30pm ) is part of a very attractive double header with the footballers, who are up against Monaghan (12.30pm ) in their league game. Only nine of the All-Ireland final side started against Offaly last weekend. Stellar names, such as hurler of the year Joe Canning, Daithí Burke and team captain David Burke, are still to come back into the starting team ahead of championship. However it was a positive to see young players such as Turloughmore's Seán Lofus at midfield hit three points, and Shane Cooney (St Thomas ) doing well and catching the eye. Jack Coyne from Castlegar and Kevin McHugo also came on for some senior experience. Donoghue is pleased with the team's improving cohesion and he feels the team is moving in the right direction. "We know the hurling will improve over the next few weeks," he says. "I think we are going in the right direction. The new lads that came last Sunday certainly put their hands up and I think we have to use the league to give the younger lads and the new lads on the panel an opportunity and for the remainder of the league we will continue to do that. In the Offaly victory it was the more experienced forwards who did most of the flag raising with Joseph Cooney notching 2-1, while Conor Cooney chipped in with 0-7 (0-4fs ) and Cathal Mannion also hit 0-5.